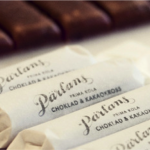 Discover Stockholm one bite at a time – 100% plant based. Are you a vegetarian, vegan or raw food lover? 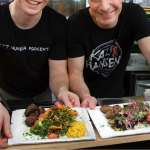 Then welcome to the only Food Tour that celebrates the healthy and revitalising food scene of Stockholm! Join us as we introduce you to the meatless possibilities of Stockholm that are filled with good food, fun vibes and plenty of creativity. 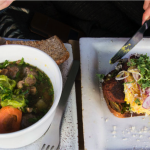 This tour will travel through the neighborhood of Södermalm as we visit establishments that serve the finest vegetarian choices to be found in the city. The area is an exciting mix of neighborhood delis and cutting edge restaurants where the best chefs work their magic, every day of the week. 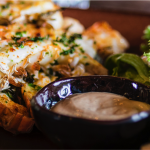 With focus on an environmentally cautious and planet-friendly diet that is good for your health and the earth this tour is sure to leave your stomach, your senses and your aura fully satisfied. Tours start at 11:00 Mondays – Saturdays unless you request a private tour where we can accommodate your preferred starting time.